As noted by people familiar with the matter, the guys from Cupertino have recently banned two hazardous chemicals from the final assembly of iPhones, iPads, iPods, Macs, MacBooks and other gadgets. These chemicals include benzene and n-hexane, which can cause leukemia and nerve damage after direct contact with human organism. 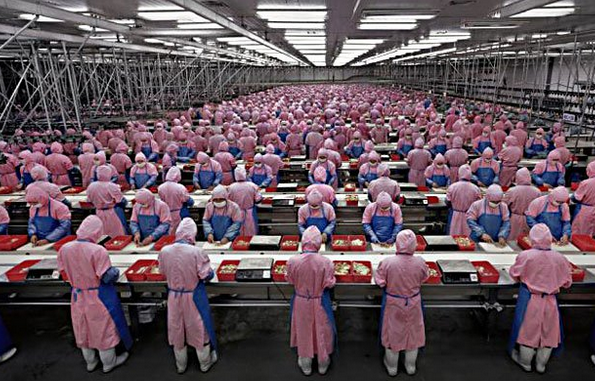 While Apple bans the usage of the chemicals in final assembly, it still allows to utilize them on early stages of the production of gadgets. With time, however, the company plans to ban such usage as well. Apple conducted a four-month investigation at 22 factories and found no evidence that the chemicals had endangered any of the people that work at the plants. Apple says no traces were found in the 18 plants, while four the 22 plants had 'acceptable safety levels' of the chemicals. The ban against the usage of benzene and n-hexane expands to Apple factories all over the world including those in China, Brazil, Ireland, Texas and California. Looks like the guys from Cupertino care about their employees and customers.